This is a 1944 MZ-2 Radio jeep built by Willys especially for the USMC. 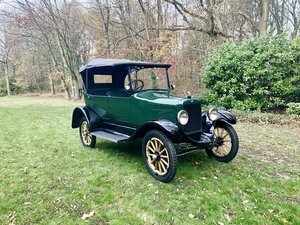 The vehicle is completley original and has been stripped and rebuilt from the ground up replacing all bearings, seals, bushes and any worn out parts throughout using new old stock parts where possible/still available. The body has been straightend and repaired where needed retaining the correct holes, brackets and clips used originally to support the jeeps radio equipment. Features of this vehicle specific to an MZ-2 jeep: Front bumper bull hooks, front bumper and rear cross member tie down rings, Front windshield Footman loops, correct MZ-2 dash data tag, correct Forest Green paint, power take off unit attached to rear of the transfer box complete with both pulleys and cast floor mounting bracket (used to support the radio Generator) Radio equipment for these jeeps is still available if you are looking in the right places and very good reproductions of the original boxes to house the equipment are now available . G503.com has a forum page dedicated to Mz's and Lloyd White book vol5 covers them in great detail. 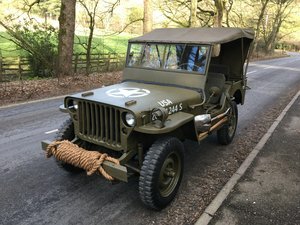 There are very few of these unique MZ jeeps remaining and it would be nice to see this one complete with all of its correct equipment. alternatively a rear seat could be fitted and it could be used as it is. The vehicle currently has a Solex carburetor fitted but could be swapped for a Carter if requested. Viewing is recommended Located in the Peak district. Any questions please call me 07951 436840.